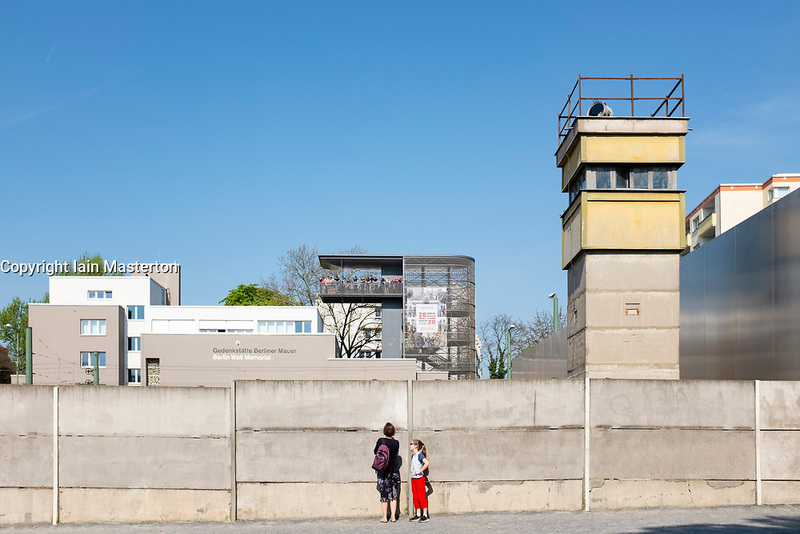 Reconstructed section of Berlin Wall with death strip and guard-tower at Berlin Wall Memorial on Bernauer Strasse , Berlin, Germany. Reconstructed section of Berlin Wall with death strip and guard-tower at Berlin Wall Memorial on Bernauer Strasse , Berlin, Germany. The Gedenkstätte Berliner Mauer commemorates the division of Berlin by the Berlin Wall and the deaths that occurred there. The monument was created in 1998 by the Federal Republic of Germany and the Federal State of Berlin.